My reasoning was similar to why the networks spend so much time on character development during the Olympics. When you connect with an athlete, you are more inclined to care about them, even if you don’t care about the sport they play. Since at this moment my blog is read mostly by people who know/love me (or at least respect/love a person who shared a post on social media) but could not give a hoot about soccer (in general) or Arsenal (in particular), my evil plan was to get you so interested in the athletes that you’d be tempted to tune in to a game. And then, because you’d recognize a player or two, you might be tempted to keep watching and connecting (“Oh, listen. They’re singing the Big F-ing German song! I think I’ll sing it, too!”) And then I would slowly, surely build up this little US pod of Arsenal fans to commune, commiserate, and celebrate with. Now that you know my plan, it would be awesome of you to just do what I want instead of making me have to manipulate you into it. Then I am forced to proceed. While I was watching the Emirates Cup over the weekend and thinking about how to approach the task of introductions, I realized there are some players I don’t know very much about. In thinking about why I don’t, I found that they were none of the following: flashy, crazy handsome, known for brutal behavior, or known for breaking rules. What they are: solid people who do their jobs. They are noticed not so much when they do their job as when they have a momentary lapse. This list of characteristics–handsomeness aside, because genes seem not to care where on the field you play–tend to most be associated with defenders and defensive midfielders. 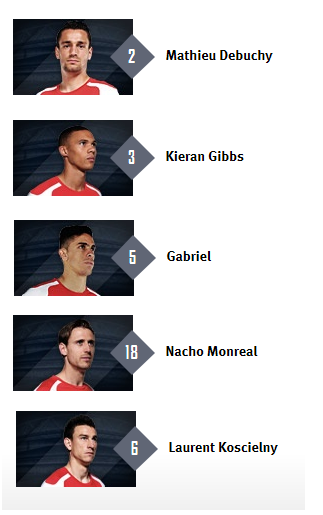 Matthieu Debuchy, Kieran Gibbs, Gabriel Paulista, Laurent Koscielny, Nacho Monreal, Mikel Arteta. They come in and–mostly competently–do their jobs. You don’t hear too much about them off the field. The current darlings among the defenders and defensive midfielders–Hector Bellerin and Francis Coquelin–have a few notable things in common. They are young, were forced into action last season by injuries of others, and produced a pleasant surprise for the fans, coming on as solid first team options faster than anyone expected. Coquelin is also appreciated for his name and the rude ways it can be used: “Arsene Wenger pulled out his Coq,” and equally awful puns. 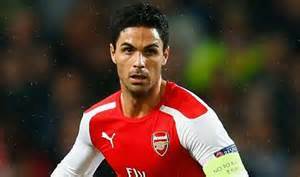 Mikel Arteta gets a bit more appreciation because he is also the Captain of the team. When someone outperforms our expectations we tend to notice them. When they outperform for too long, we become complacent. Of course we should expect competence, but we should also appreciate it. As you know, singing and chanting is a big part of the atmosphere of football. Many of the songs are glorious songs of love for team and supportive chants for individual players. Many are critiques for the manager, ours and theirs: “You DON’T know WHAT you’re DOing!” and “You’re getting sacked in the morning!” And many, many are truly vile, typically addressed to managers and players of other teams. I couldn’t think of a single song I’d heard in relation to any of the solid guys named above. Therefore, I went out into the cloud to locate a website which boasts 400 Arsenal songs, fanchants. Grownups, if you play any audio from this site, listen with your headphones on. Kids, you did not get this link from me. If you make the mistake of chanting at the dinner table, you are on your own. 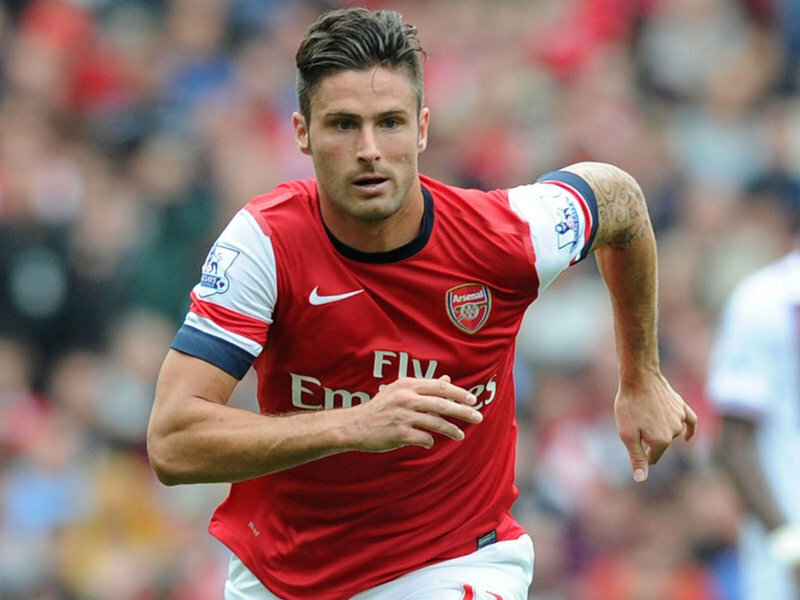 This site with 400 Arsenal songs had not one song for Mathieu Debuchy, Kieran Gibbs, Gabriel Paulista, Laurent Koscielny, Nacho Monreal, or Mikel Arteta. These guys are literally unsung. On the other side of the equation, if you reviewed the 400 chant playlist, you can see why being a little anonymous might not be the worst thing in the world. The players everyone notices and obsesses about hear both the loveliest and vilest chants, depending on which set of fans is singing at a match (usually both, but naturally the home side tends to have a vocal advantage). These players live in a goldfish bowl beyond anything most of us can imagine. Keeping your nose clean and staying a little unsung probably has some real merit. I hope to always appreciate these little-sung Arsenal heroes. Today’s mission is also to appreciate the little-sung heroes in my daily life. But maybe without any actual singing, if that’s ok with everyone.